Are you on Instagram and Facebook?steemCreated with Sketch. 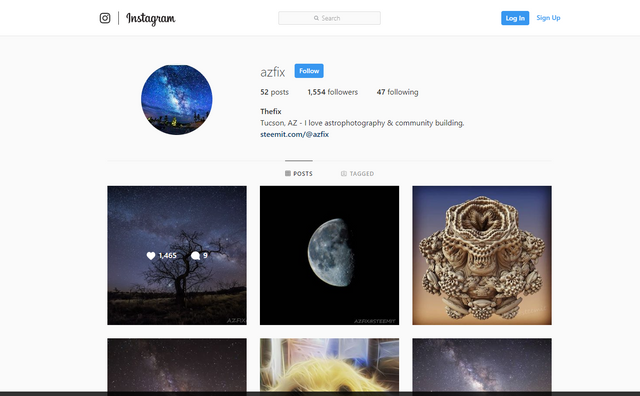 Instagram is a great way to let people know about others sites you post your content on. I watermark my photo with my username @steemit and occasionally get asked about it. I just mention its a site built on blockchain technology that allows you to mine cryptocurrency when you post content. They usually laugh when they see me earning under a couple bucks per post. I remind them that its more than you would earn on Facebook or Instagram. I think these sites can all coexist in harmony and help you gauge what content is organically liked more across multiple platforms. I like Facebook a little less every time I use it even though I know they also own instagram. Its still a nice tool to let fans know what other social media sites you post on including steemit. Not as many people setup pages since they can be a little confusing as to how they compare setting up a regular profile. 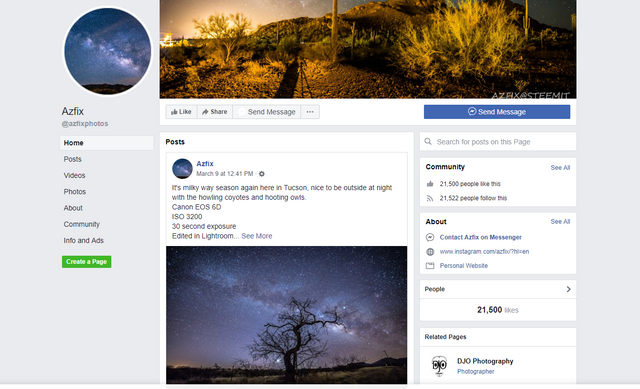 Basically a Facebook page allows you to have an account within your personal profile that is separated in order to post a specific kind of content. Many people just use their personal account as a page and friend as many people they can find which can become very annoying. I like to keep my personal profile separate from my social media one on Facebook and I encourage you to do the same. I am the same way, I just have to prioritize my time better now. I'm not on Instagram, but I do use Facebook. I also joined Twitter to guide people towards my posts on here but with minimal success so I don't bother anymore. My Facebook is a page called 'Lewis J F Clarke' and it is about my books. I'm also part of a Steemit page called 'Aspiring Steemit Whales And Dolphins' which used to be good for interaction. However it has recently died down a bit over the past year, presumably due to the price crash of Steem. I'm hoping it'll get back to how it was once the price goes back up again. I checked out your FB page, the one thing about facebook is they tend to limit affiliate links so it will be difficult to get that page to grow. Original content is key and photos you have taken or videos you made directly loaded to your FB page work much better than links to content. Facebook prefers to keep people on their site in my experience. I couldn't see the group because its closed, but it seems to have a decent amount of members. Glad it helped out, I am no expert but I have built a few decent size communities. Thank you for your advice. I know very little about marketing so these are great tips for me. I'll limit my links and start posting more pics on there relating to the books. Feel free to request to join. I don't know if I can add you but the owner of the page (@samstonehill) seems nice enough. Could be a good way to interact with a new group of people.